There are certain bands that hold a special place for me. One of those bands is Deftones. Whenever they come to town I run to see them. Over the years I’ve seen them now 13 times. There was something rather special about this evening. Being that it was the first time in 15 years that Deftones and Incubus had shared a bill together. I remember seeing Deftones and Incubus years ago at the Universal Amphitheater, when White Pony and Make Yourself were released. What a night that was, and what a night this was. To start the night off was a local Los Angeles band called The Eeries. These guys just weren’t good at all. They seemed like nice enough guys but their music was beyond juvenile and dated. Their 15 minute set was the longest 15 minutes of my entire week. Death From Above 1979 was the main support for the tour and they did not disappoint at all. Their blistering high energy set was remarkable. I’ve been wanting to see that for years, and am so glad they got back together. The duo wasted no time in getting the energy of the night to where it needed to be as the sun was starting to set. Irvine Meadows might not have been the most ideal place to see them, but they rocked the hell out of the place. 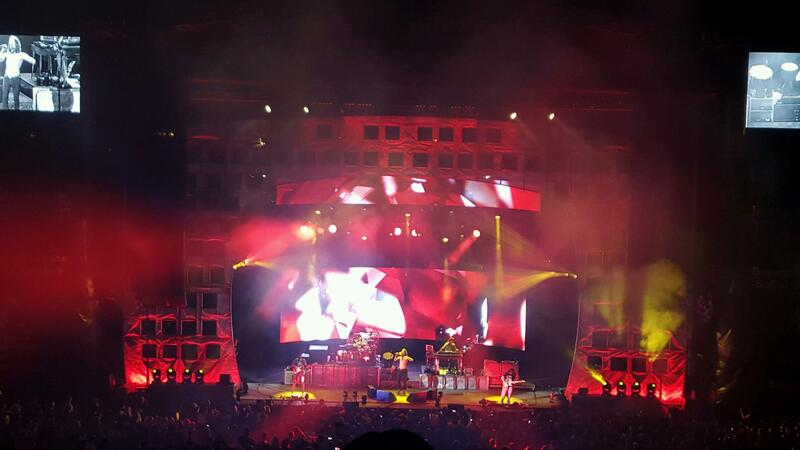 Incubus headlined the evening. They sounded great and looked totally at ease. Despite their new EP being so so, they pulled out a lot of gems in their setlist. Their set kicked off with a jam of the Hans Zimmer song S.T.A.Y. from Interstellar and transitioned perfectly into “Nice To Know You.” Other gems from the set included “Sick Sad Little World (one of my top two Incubus songs of all time), “Vitamin,” “Dig,” and “A Crow Left Of The Murder.” The bands use of visualizers and cameras made for a fun night that was sort of hypnotic. 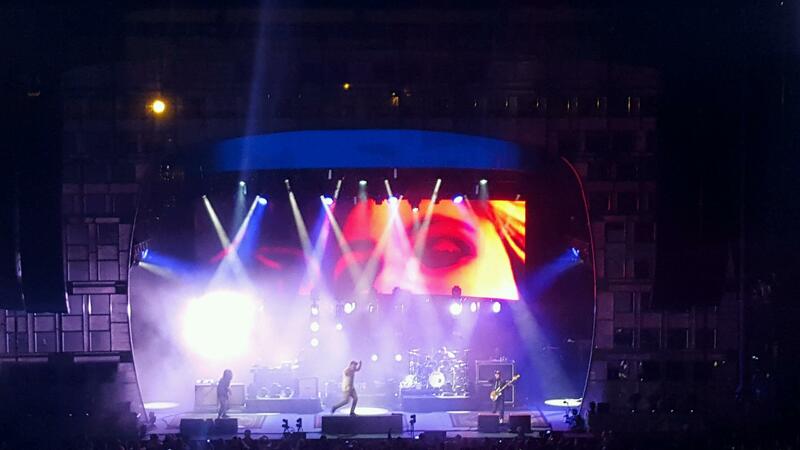 I must say that it was a pleasure to see Incubus again. Brandon Boyd still has a great voice and Jose Pasillas is one hell of a drummer. I have to say though that I miss having Drik Lance aka Alex Katunich up on stage, he really had a vibe that fit the music. All in all it was a great show, not to mention that I was with my wife and she really enjoyed it. Deftones though stole the night. They were such a hard act to follow. Had Incubus played some older stuff from Make Yourself and SCIENCE, they might have been able to steal it, but that’s not to say they didn’t put on a great show. Nestled in Hudson Valley, New York is a three piece band called Dead Empires. These guys have a very deep heavy sound combined with the prowess of gentle melody.Their wide array of influences helps to create lush landscapes of sound, all the while pushing the boundaries of being a traditional instrumental band. Their new album Secret Snakes/ Silent Serpent, has everything a rock music fan would enjoy minus the vocals. I find myself coming up with lyrics and vocal melodies while listening to their album. From what I can tell from their videos online, they put on one hell of an energetic show and their love of the music shows through in all that they do. Dead Empires is alive and well, and on their way to making a name for themselves. I find it very intriguing that while on my kick of listening to Garbage as of late I would stumble upon their cover of my favorite Ramones song, “I Just Want To Have Something To Do.” Shirley Manson really delivers the goods on this version, as well as the rest of the band. In today’s music climate it’s hard to stay fresh and ahead of the pack especially within the heavy music circles. There are so many sub-genres now a days it’s hard to keep up. Yet within the melodic metal genre there is a new band that is ready to stand out amongst their peers, Before The Mourning. 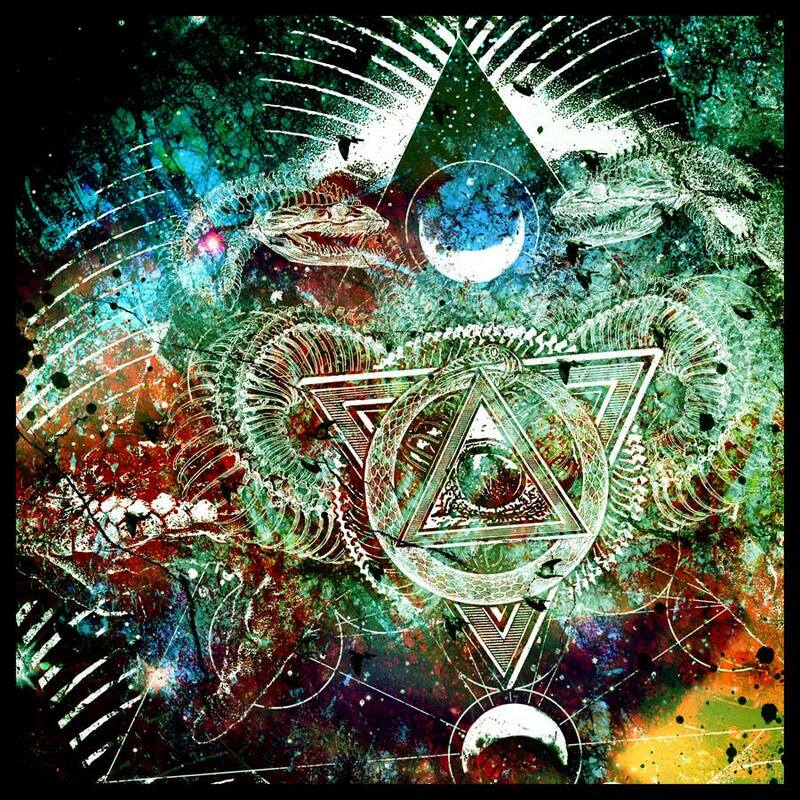 Their debut album Etherial End is full of hooks, groove, and the perfect use of melody. The album was produced and recorded by the bands drummer Phil Gonyea, and mixed and mastered by Logan Mader. One can tell from listening to the album, that the 11 songs on the album are all meant to be there. There are elements of many different bands including Pantera, Poison The Well and a large Swedish Metal influence. At The Gates Soilwork really come to mind. Singer Adam Ryan’s voice evokes bits and pieces of Speed Strid of Soilwork. Songs like “Another Sleepless Night,” “The Deception,” “The Black Day,” Continuum,” and “The Hidden,” are all stand out tracks. Closing song “Deserter,” shows the bands ability to write a powerful song without all the aggression. CJ Cussell and Jeff Stevenson’s guitar playing compliment each other perfectly. There is a bit of an At The Gates tone between them. Bassist Paul McBride and Phil Gonyea (Drums) are extremely tight as a rhythm section similar to how Vinnie Paul and Rex Brown were locked in their groove while in Pantera. 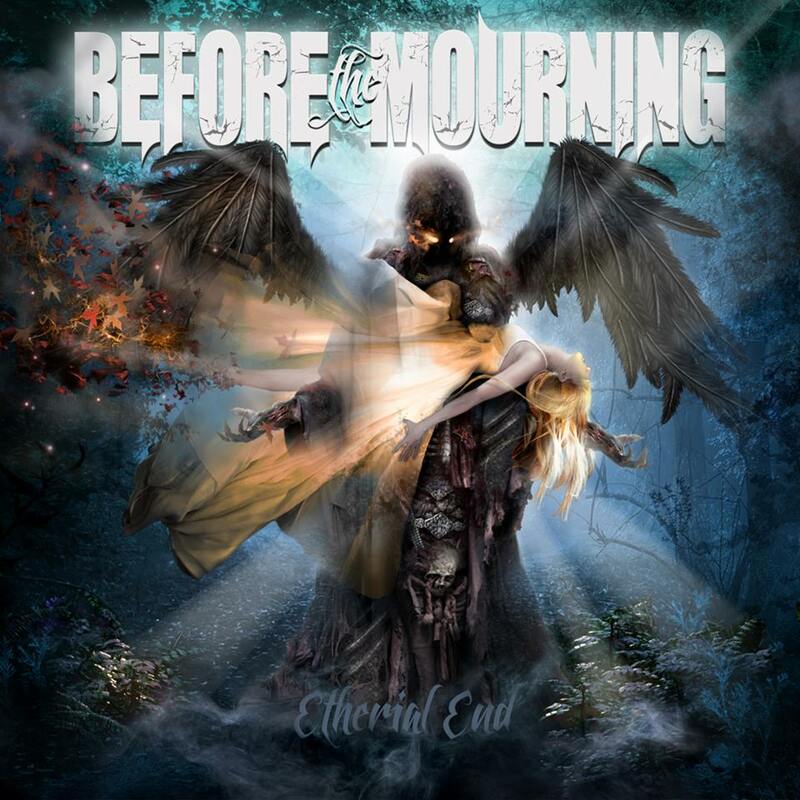 Etherial End is just the beginning for Before The Mourning. They really have a true passion for what they do and the music they create. This album exemplifies that. Their live show as well is full of so much energy that it wouldn’t be shocking to hear that these guys stole the show from the other bands they play with. Do yourself a favor and pick this album up, August 21st!!! Since The Smashing Pumpkins released their great new album Monuments To An Elegy late last year I’ve been on a huge Pumpkins kick. 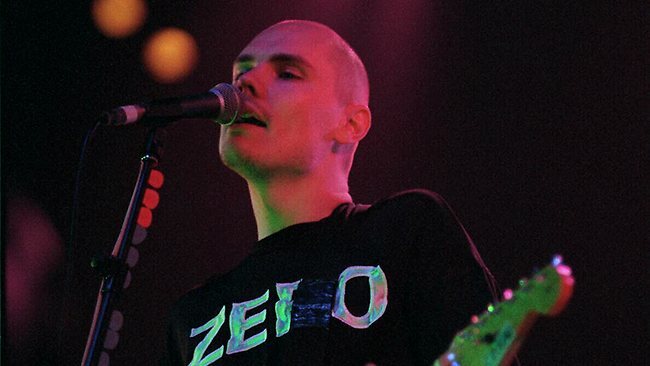 While on this journey I’ve looked into all the songs that Billy Corgan has been apart of with other bands, whether it’s co-writing, lending his vocals and guitar talents to. Here are a few of the songs that I found interesting that he guested on in someway. I’ve said it many time before, there are certain areas that really inspire others and bring out the creativity in people. Chiefs is another great example of that. Originally a two-piece that formed in Phoenix, AZ, soon found themselves relocating to San Diego, CA after releasing two demos, touring and playing often around the Phoenix Valley. Shortly after, Chiefs released their third demo EP entitled Buffalo Roam, and added numerous shows to support it, the group became a three-piece with the permanent addition of a bassist which filled out the low-end of the band and exponentially filled out their sound. 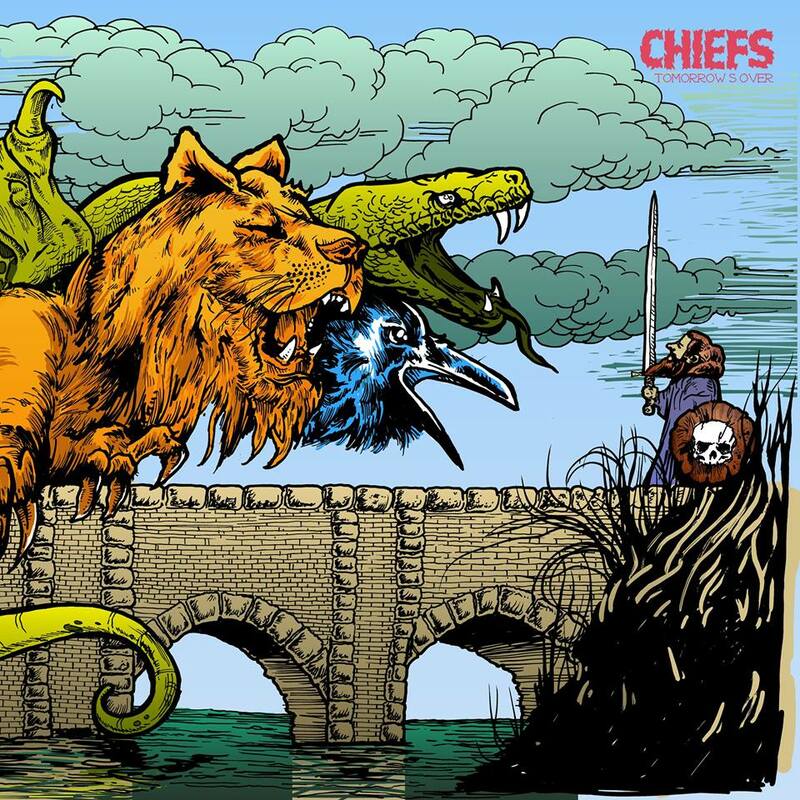 Chiefs debut full-length, Tomorrow’s Over, is a genuine slab of rock n roll with the added elements of desert/stoner rock. Now a four piece band, Chiefs is definitely a band to look out for, as they take their inspired music on a long journey. I just discovered this cover of David Bowie’s “Suffragette City” by Alice In Chains. Their arrangement is very rocking and adds a bit more to it. Layne Staley is killer on this track. Check it out! !